Under the MMA Microscope | Which fighters left the UFC on their terms and why? The UFC is MMA’s pinnacle when it comes to where fighters aspire to be. It’s the top of the mountain, yet for one reason or another, fighters have chosen against it. In 2018, the UFC isn’t as much the end all be all in the MMA world as it once was 15 years ago. The worldwide growth of the sport has become absolutely incredible as evidenced by promotions like KSW, ONE, RIZIN, Bellator, PFL, Combate Americas, ACB and the list goes on and on. Often times, when a higher-valued fighter departs from the UFC, people will assume it was from the UFC letting the fighter go by releasing them from their contract. But this hasn’t always been the case as there have been plenty of instances where fighters have left on their own terms. And that’s what we’re going to look at today as we go back under the MMA microscope. The obvious way for someone to depart the UFC is retirement. Albeit, that is generally a permanent end to MMA overall. Often times, older fighters who are on the way out just haven’t quite known when to call it quits. For some, they end up fighting longer than they probably should resulting in them getting told by the UFC that they may have to stop…or they get flat out cut. Which isn’t exactly on their terms and when they would prefer for it to end. See Chuck Liddell and Josh Koscheck for prime examples. There are others who have done it right though. Regardless of the outcome, “The Natural” Randy Couture made it clear that before his final bout with Lyoto Machida in 2011 that it would be his last. This was, unfortunately, a loss for Couture but he stood his ground on the decision which is as admirable of a decision as one could ask for from a legend. More recently we’ve seen instances similar to this with Dan Henderson who retired after his loss to Michael Bisping in their UFC 204 title fight rematch. And although he has recently come out of retirement, Chris Leben knew it was time to hang up the gloves after fighting Uriah Hall in 2013. Further examples of holding their ground despite fight outcomes include the likes of Tito Ortiz and Vitor Belfort. Both, however, were more at the end of the road than perhaps everyone else listed. That said, you could argue that Ortiz wasn’t since he unretired to fight in Bellator after his first retirement after his trilogy with Forrest Griffin. The rarest part of retirement is doing it while on top of the sport and with a victory. Something that eluded everyone else that was just mentioned. But for Georges St-Pierre, that was and is potentially a different story. St-Pierre is the poster boy for being the fighter to go out on top. After successfully defending his title for the ninth consecutive time, the all-time great said that was it, no more. Although he never really called it a “retirement” per-say, as he would indeed come back this past year…we all still viewed it as unlikely that the Canadian icon would ever return and would end his career on the highest of highs. And he very well still could once he’s 100 percent done. Another championship level instance would be that of the UFC undefeated light heavyweight king, “The Legend” Frank Shamrock who used retirement as his way out of the UFC no matter how brief it was. To lesser extents, we’ve seen the likes of fan favorites, Chris “Lights-Out” Lytle managing to end his career on a definitive high note with an epic win in the main event position just like how he started his UFC tenure. Then in more unique cases, there’s been a mixture of retirement along with fighter pay issues. The most prominent case here being with Brendan Schaub who retired after the Reebok deal came into play. Already having his fighting future put into question, the future lack of sponsorships was a nail in the coffin for Schaub. And for multiple big name fighters that didn’t retire, it was their main reason for leaving too. The big difference about MMA in 2018 compared to 15 years or so ago is that now there are options. As previously mentioned, the UFC now has competition in regards to where fighters would rather be. The big reason for that? Well, believe it or not…money. Surprisingly, the richest MMA organization in the world hasn’t exactly given its top fighters their proper worth. And the competitors have been vocal about it as they’ve shared their satisfaction with the deals they received after testing the waters of free agency. 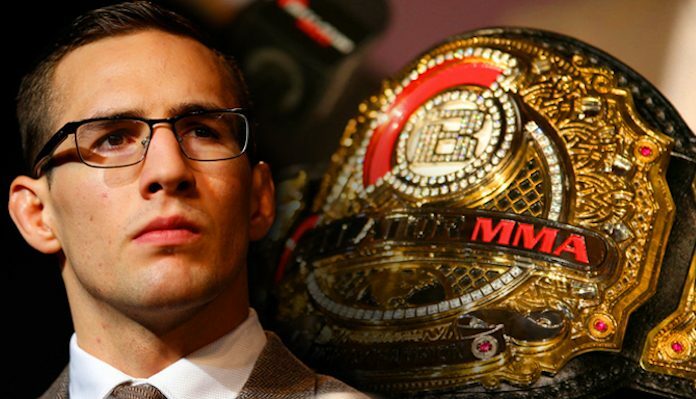 Two of the best fighters in the world are the current Bellator welterweight and middleweight champions Rory MacDonald and Gegard Mousasi. Both of which are former top UFC contenders who did not get the fairest of shakes when it came to their compensation. Reebok being a reason for this as well. “Many, many factors [to why I left the UFC for Bellator],” Mousasi told MMAWeekly in 2017, “The pay was better. The way I’m going to be treated is better. I can have my own sponsors. I have to be realistic about that because Reebok has killed a lot of sponsors. There were a lot of sponsorships that you could have before, they don’t exist anymore. But it’s still better than getting $10,000 from Reebok. Exactly what kind of a difference in pay has it been for these two fighters? In MacDonald’s final two UFC bouts that came against Stephen Thompson and Robbie Lawler in their title fight rematch, he made $59,000 to show. For his Bellator debut against Paul Daley at Bellator 179, he made at least $100,000, potentially $400,000. A pretty solid difference to say the least. Even though the boost in potential pay is clearly a nice option to explore for those at odds with the UFC, other very interesting benefits have come into play too. Take another former top contender in the UFC turned Bellator champion, Ryan Bader, who got quite the deal when making things official for his jump to the Viacom owned MMA promotion. Added into his contract was an inactivity clause. Meaning that Bader is required to be booked for at least three fights a year by Bellator. Unless, of course, he’s physically unable due to injury or what have you. Then if Bader doesn’t get those three bookings, he gets his full purse as a makeup. That makes it pretty much the win-win of MMA contracts if you ask me. If there is one thing that all of these three fighters have in common, it’s that they weren’t big fans of the Reebok deal and benefitted much more from their previous sponsors (which makes sense). Former UFC lightweight champion Benson Henderson and Matt Mitrione are also two more of those people and Henderson actually made the cross-over before all the others. Mitrione believed it was about finding what fighters believe they deserve and getting their worth. For Henderson and being a former champion, he attested to this by saying that it was very important to pay attention to the finer details. This quote from Henderson was in reference to the very surprising UFC 200 payouts that were received by former UFC bantamweight champion TJ Dillashaw (at the time) opposite the relative newcomer Sage Northcutt. Dillashaw earned $25,000 to show that night with $25,000 for his win as well. The 20-year old Northcutt though…$50,000 to show and win. Despite having not fought in the UFC for a full year yet, Northcutt was doubling a former champion with successful title defenses in their earnings. I mean, that kind of just speaks for itself. Bellator examples can continue on with the likes of Phil Davis or the most recent, Lyoto Machida. Sometimes we even see the scenarios where fighters may not even want to test their luck with the UFC because they’re already set elsewhere. 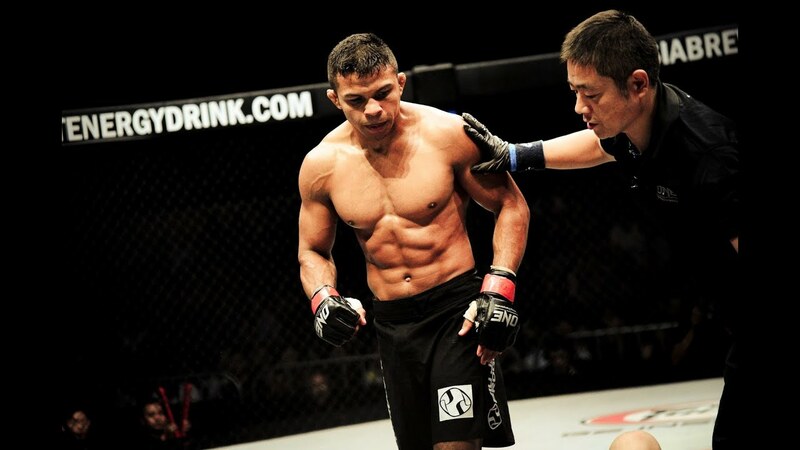 Just look at the reigning ONE bantamweight champion Bibiano Fernandes. One of the very best in the world in his division, there was a time where it looked like Fernandes was all set to come to the UFC. But not so fast…! In 2012, Fernandes was announced to make his UFC debut at UFC 149 against Roland Delorme. However…Fernandes brought it to light that he only negotiated without signing any contract. In turn, he would go on to sign with ONE instead. Fast-forward to just this past year when Fernandes was again exploring options, he would re-sign with ONE after receiving offers from both the UFC and Bellator to which Fernandes even said that Bellator’s offer was better than the UFC’s. But both obviously didn’t match ONE. Perennial top-ranked world middleweight and European superstar, Mamed Khalidov is also in this boat with Fernandes. The former KSW champion has received several UFC’s offers in the past but has always remained happy with the organization that he essentially helped build. To willingly leave the UFC, no matter the year, it sounds crazy and kind of like a very hard thing to fathom. Especially as a fighter as it’s what they strive for and for some now, they have grown up watching it. In conclusion, pay and treatment being issues is nothing new. But with the direction that the UFC continues to head in, the rapid shifting of fighters going from organization to organization could very well pick up as MMA moves forward. And honestly, it won’t be a bad thing. Not for MMA anyway. Competition is always needed and more than welcome. Specifically in a sporting world like MMA. Who remembers the days of Pride? Imagine that but times five. That could be a bit of a stretch but hey, anything is possible. Under the MMA Microscope | Is equality in the UFC a myth?